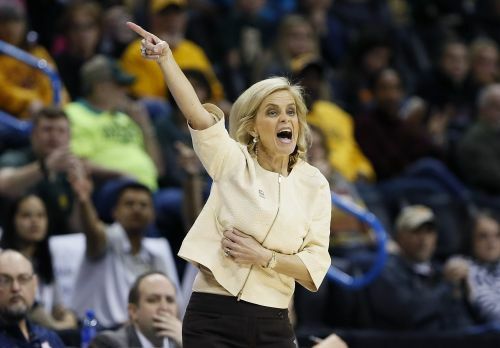 NEW YORK (AP) — Baylor maintained its spot as the unanimous No. 1 choice in The Associated Press women's basketball poll. The Lady Bears, who have been atop the rankings for seven weeks, received all 28 first-place votes from a national media panel Monday. The Lady Bears have won 22 straight games — the longest winning streak in the country. They will try and win their 10th Big 12 Conference Tournament championship Monday night when they face No. 13 Iowa State. Baylor has won eight of the last 10 titles. UConn, Notre Dame, Mississippi State and Louisville follow Baylor. The Irish won the ACC Tournament routing Louisville. The Lady Bulldogs were SEC Tournament champions for the first time in school history. Stanford and Oregon flipped places in the poll after the Cardinal topped the Ducks for the Pac-12 title Sunday night. Iowa, Maryland and N.C. State round out the first 10 teams in the poll. The Cyclones made the biggest leap, moving up six spots this week after beating Kansas twice and then-No. 21 Texas. The final poll of the season will be released next Monday. CLIMBING HAWKEYES: Iowa had its best ranking in 23 years after winning the Big Ten Tournament with a victory over Maryland. The Hawkeyes were last this high in the poll in opening poll in 1996 when they were sixth. AT STAKE: While most of the Power Five tournaments are finished with the exception of the Big 12, many of the mid-major conferences play their tournaments this week. No. 21 Drake opens up Missouri Valley play on Friday. No. 24 Rice begins Conference USA Tournament play on Thursday.